September 27, 2007 -- This marks the beginning of the seventh year of JoeSentMe. And I'm sure it's just coincidence that this week has also been a whirlwind of Congressional hearings, government reports and even Presidential pronouncements, all targeted at trying to understand exactly why the nation's air-travel system is so near operational collapse. The reports and hearings have had a common theme: The airlines lie about everything--their schedules, their commitments to improve and even their history of lying--and they blame everything and everyone for their failings except themselves. The airlines dissent, of course. Their explanation: It's the government's fault, the passenger's fault, the weather's fault, the media's fault, America's fault. I'll be honest with you: Six years after I started JoeSentMe.com as a "temporary" Web site, more than a decade after I launched The Brancatelli File on the Internet, almost 25 years after I started writing about business travel and almost 30 years since I became a regular business traveler, I don't think I have the energy or the stomach for any of this anymore. It is impossibly draining to look at indisputable facts and then have the airlines dispute them. We're hearing the same irrefutable facts about airline behavior as we have heard before--and the same absurd airline rationalizations and the same airline claims that the facts aren't the facts. Think I'm kidding? Read for yourself. Here is Tuesday's report from the Office of Inspector General of the Transportation Department. It explains how the airlines have ignored or reneged on virtually every promise they made after the 1999 Northwest meltdown in the snow in Detroit. Or try this: yesterday's Congressional testimony of the air-traffic controllers. It explains in brutal detail how airlines strangle the system with wave after wave of flights at impossibly overcrowded major airports. How many times can I regurgitate an analysis of this stuff and expect you to pay attention? How many times can we make believe all of this is new, or news, or even surprising? And how many times can you or I live this before we're beaten down by the arrogance and the incompetence of the airlines? To be honest, I don't know the answers to any of these questions. But I do know this: We have all been here before. Crosby, Stills, Nash & Young sang that a generation ago and it is apropos now. The mouthpiece for the nation's major airlines, the Air Transport Association, has told Congress that the government is to blame to for the massive increase in flight delays. The Federal Aviation Administration's air-traffic control "system is broken" whined ATA president Carol Hallett. The government "use[s] weather as an excuse for poor performance." But a more reasonable assessment of blame comes from Randy Schwitz, executive vice president of the air-traffic controller's union. He told Congress that "the inefficient hub-and-spoke system used by airlines to schedule flights is a major source of delays. To maximize profits, airlines are intentionally overloading the system. Delays from airline scheduling occur at every major airport." To illustrate his point, Schwitz pointed to a 10-minute period around the 6 p.m. rush hour at Dallas/Fort Worth Airport. Airlines operating out of DFW have scheduled 57 arrivals and departures in that 10-minute time frame. But DFW's top capacity, given perfect weather and no equipment problems, is 35 operations. In other words, even in a perfect world, 22 flights will always be delayed. The airlines are "trying to cram 10 pounds of sand into a five-pound bag," Schwitz noted. The airlines got their bailout last week--the House and Senate approved the bill Friday night and President Bush signed it Sunday--but the terms are just now seeping into the national consciousness. The nation's passenger and cargo airlines get a $5 billion tax infusion with virtually no strings attached. It's not a loan, but an outright gift. Not a penny is required to go to improve security and not a dime is earmarked for the almost 100,000 workers who have been laid off since September 15. According to the calculations of Aviation Daily, individual carriers will receive from $970,000 to $880,000,000 each. And if you're having trouble getting your mind around the $5 billion figure, try it this way: Every man, woman and child in the nation will pay the airlines a one-time fee of $17.85. We saved the airlines after 9/11 by writing them checks of unprecedented size. They have repaid our generosity with six years of lies and lies about lies. But there's nothing new about that, is there? I humbly thank you for your support of JoeSentMe.com over these past six years. I just wish we had been more effective. Or able to make just one thing about our lives on the road better. I'll see you next week because, well, what else is there to do? 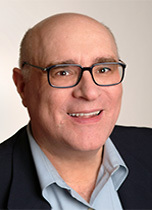 ABOUT JOE BRANCATELLI Joe Brancatelli is a publication consultant, which means that he helps media companies start, fix and reposition newspapers, magazines and Web sites. He's also the former executive editor of Frequent Flyer and has been a consultant to or columnist for more business-travel and leisure-travel publishing operations than he can remember. He started his career as a business journalist and created JoeSentMe in the dark days after 9/11 while he was stranded in a hotel room in San Francisco. He lives on the Hudson River in the tourist town of Cold Spring. THE FINE PRINT All of the opinions and material in this column are the sole property and responsibility of Joe Brancatelli. This material may not be reproduced in any form without his express written permission. This column is Copyright � 2007 by Joe Brancatelli. JoeSentMe.com is Copyright � 2007 by Joe Brancatelli. All rights reserved.